NOTE: Yesterday was Hiroshima Day, the unforgettable day of the bombing of Hiroshima, Japan, that triggered the end of WWII. While I was too young to remember this day, I do remember Rosie the Riveter stories and happy there is a museum dedicated to her and others who helped our country during the war. Richond had factories where items were made for the war and the museum is very interesting to tour: small, yet packed with information, much of which I knew very little about. First, the museum is part of the National Park Service, celebrating its 100th anniversary this year, so I was glad to have a double celebration of Rosie and the Park Service. 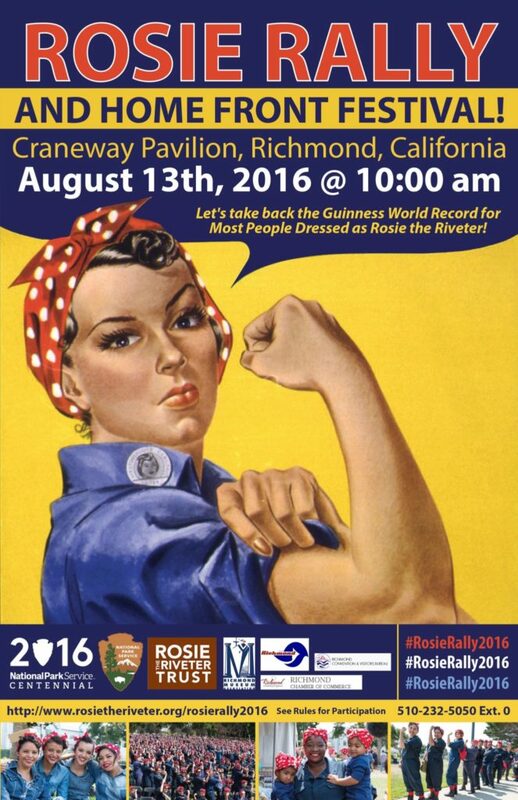 Second, there is a rally next week on Saturday, August 13th to take back the title in the Guinness Book of World Records for the most people dressed as Rosie: red polka dot bandana, red socks, and blue pants and shirt. My daughter and daughter-in-law plan to go, so I am eager to find out the results. More importantly, I learned at the museum that not only young women were “drafted” for the war effort, but also older Americans, people with disabilities, and African Americans, both men and women. These Americans had a difficult time finding work before the war, and as young men went off to war, their jobs were filled by people back home. And these were people who may never have worked outside the home before, so the “migration” from home to factory or other place of work must have changed the home front landscape considerably. *Note: I underlined “to put women in their place,” because as the book reveals, many of these real life women did not want to return to the kitchen, and after reading this book, I believe that this is where the women’s movement of the mid-1960s began. So, if you are in the Richmond area, please go the museum. 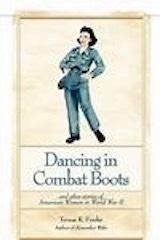 If not, consider purchasing the book by Teresa Funke and learning more about the women who served at home during WWII. The stories based on real lives are fascinating, and the true identities of the women are listed and explained at the end of the book. Funky has written other books on the war that I hope to find. This museum was one of the highlights of our trip to California last month and I want to thank my daughter and daughter-in-law for taking my husband there. I also plan to wear my own red polkadot bandana on the 13th! This entry was posted on Sunday, August 7th, 2016 at 7:35 am	and is filed under Profiles. You can follow any responses to this entry through the RSS 2.0 feed. You can skip to the end and leave a response. Pinging is currently not allowed. airplane Parts in Linden, New Jersey. She worked in the nose of the plane because she was tiny, but they furnished no ear protection, and she soon grew deaf which is how I knew her after my brother dated her daughter.You had to face her and shout, but she had a great sense of humor, but resented when she went to a Reunion, no effort was made to compensate for hearing aids. She spoke up then, but even with a better knowledge and understanding of Safety Measures, no paid any heed to her. Little attention was paid to women then and their needs, but the only men who worked there were 4F and weren’t able to participate in the active war effort.